SneakerRefresh provides users with everything for successful purchasing sneakers and clothing for all needs. Whether you are a reseller or just a sneaker lover, this platform is still useful. It offers special codes, opportune support, jigs, sitelists, monitors and bots. 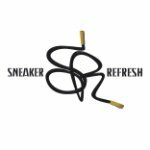 SneakerRefresh provides users with everything for successful purchasing sneakers and clothing for all needs. Whether you are a reseller or just a sneaker lover, this platform is still useful. It offers special codes, opportune support, jigs, sitelists, monitors and bots. SneakerRefresh costs just $44.99 per month, but for now it is out of stock. So turn on tweet notifications to know when the next restock is.